NEW YORK — Mystery Writers of America, which is celebrating the 210th anniversary of the birth of Edgar Allen Poe, announced on Jan. 22 the nominees for the 2019 Edgar Allan Poe Awards, honoring the best in mystery fiction, non-fiction and television published or produced in 2018. The awards will be presented to the winners at the 73rd Gala Banquet on April 25 at the Grand Hyatt Hotel in New York City. “Hiroshima Boy” by Naomi Hirahara (Prospect Park Books) is nominated in the Best Paperback Original category along with “If I Die Tonight” by Alison Gaylin, “Under a Dark Sky” by Lori Rader-Day, “The Perfect Nanny” by Leila Slimani, and “Under My Skin” by Lisa Unger. 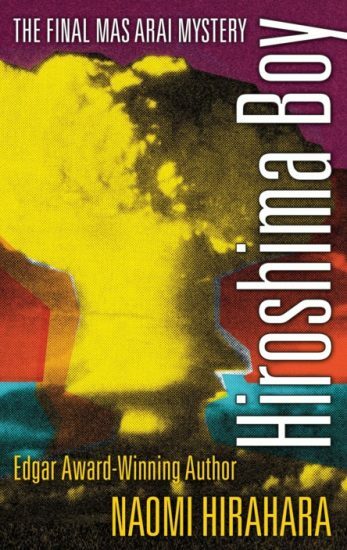 In “Hiroshima Boy,” L.A. gardener Mas Arai returns to Hiroshima to bring his best friend’s ashes to a relative on the tiny offshore island of Ino, only to become embroiled in the mysterious death of a teenage boy who was about the same age Mas was when he survived the atomic bomb in 1945. The boy’s death affects the elderly, often curmudgeonly, always reluctant sleuth, who cannot return home to Los Angeles until he finds a way to see justice served. 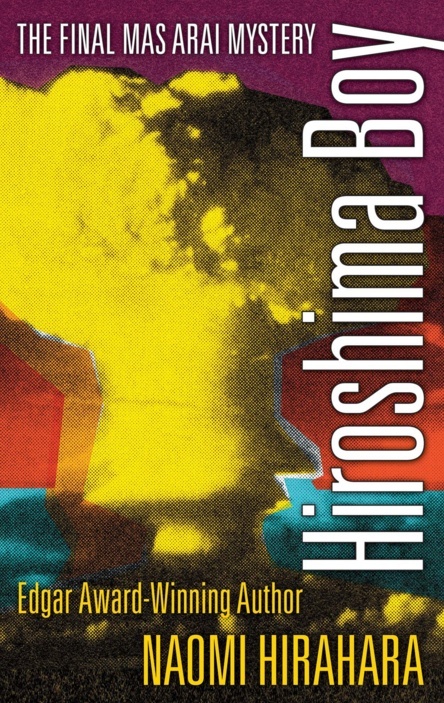 “Hiroshima Boy” marks the end of the Mas Arai series, which began in 2004 with “Summer of the Big Bachi,” a Macavity Award nominee. The third book in the series, “Snakeskin Shamisen,” won the Edgar Award for Best Paperback Original in 2007 and was nominated for an Anthony Award. In the Best Critical/Biographical category, “Mark X: Who Killed Huck Finn’s Father?” by Yasuhiro Takeuchi (Taylor & Francis-Routledge) was nominated along with “The Metaphysical Mysteries of G.K. Chesterton: A Critical Study of the Father Brown Stories and Other Detective Fiction” by Laird R. Blackwell, “Dead Girls: Essays on Surviving an American Obsession” by Alice Bolin, “Classic American Crime Fiction” of the 1920s” by Leslie S. Klinger, and “Agatha Christie: A Mysterious Life” by Laura Thompson. In the summer of 1876, Mark Twain started to write “Adventures of Huckleberry Finn” as a detective novel surrounding the murder of Huck’s father, Pap Finn. The case is unresolved in the novel as it exists today, but Twain had already planted the clue to the identity of the killer. It is not the various objects ostentatiously left around Pap’s naked body; they are not the foreground of the scene, but actually the background, against which a peculiar absence emerges distinctively ― Pap’s boots, with a “cross” in one of the heels, are gone with his murderer. The key to the mystery of Twain’s writings, as Takeuchi’s book contends from a broader perspective, is also such an absence. Twain’s persistent reticence about the death of his father, especially the autopsy performed on his naked body, is a crucial clue to understanding his works. It reveals not only the reason why he aborted his vision of Huckleberry Finn as a detective novel, but also why, despite numerous undertakings, he failed to become a master of detective fiction. For a complete list of Edgar Award nominees, visit www.mysterywriters.org. Visit the author’s website at www.naomihirahara.com.